Dr. Mulugetta Birru serves as the CEO of Greater Wayne County Economic Development Corporation and Director of Wayne County’s Economic Development Department. Dr. Birru has approximately 25 years of progressive experience in the fields of development banking, manufacturing enterprises and economic development both in the United States and overseas. He was the Executive Director of the Urban Redevelopment Authority in Pittsburgh from 1992 to July 2004, where he assumed a dual position with Allegheny County and the City of Pittsburgh as Executive Director of the Allegheny County Department of Economic Development. Dr Birru was an Adjunct Professor at Carnegie Mellon University and the H. John Heinz III School of Public Policy and Management from 1993 to 2004, teaching two graduate Financing Community Economic Development courses. His academic credentials include a Ph.D. in Public and International Affairs, an MBA in Corporate Finance, an MA in Economics, and a BA in Management and Accounting. Jeffrey Finkle has been a leader in economic development for more than 20 years. In 2001 he became the president and CEO of the International Economic Development Council, following IEDC’s birth through the merger of the Council for Urban Economic Development (CUED) with the American Economic Development Council (AEDC). Prior to the merger, Finkle served for 15 years as president and CEO of CUED. Before assuming leadership of CUED, Finkle was the U.S. Department of Housing and Urban Development's (HUD) Deputy Assistant Secretary of Community Planning and Development for program management. Ed Gilliland is Vice President and Senior Director of Advisory Services. He has seventeen years of economic consulting experience with cities, counties, quasi-public agencies, and private clients. He specializes in strategic planning, organizational development, real estate and brownfields development, commercial revitalization, financial analysis, and program development. their opinion, expertise and time to complete this study. The Government of the District of Colombia announced an initiative in January of 2007 to examine alternatives for the structure of two city planning and economic development organizations: the National Capital Revitalization Corporation (NCRC) and the Anacostia Waterfront Corporation (AWC). This initiative falls into Mayor Adrian M. Fenty’s list of goals for his first 100 days in office (approximately January through March, 2007). The related objective for that time period is to issue a report analyzing alternatives for the structure of NCRC and AWC. District of Colombia Councilmember Evans introduced a bill in early January to dissolve the NCRC and the AWC and to transfer their responsibilities and functions to the Mayor, under the Office of the Deputy Mayor for Planning & Economic Development. This bill is cited as the “NCRC and AWC Reorganization Act of 2007”. The councilmember who introduced the bill indicates the organizations have not met anticipated expectations, and the bureaucratic structure of these organizations and disagreements between them hold up development efforts in the city and increase costs. The DC Council held public hearings in March to review the legislation. On February 28, 2007 the International Economic Development Council (IEDC) was contracted to review NCRC and AWC. The contract was organized through is with the Washington, DC Economic Partnership, under oversight of the Office of the Deputy Mayor for Planning & Economic Development. The International Economic Development Council (IEDC), a 501 (c)(3), is the leading association serving economic development professionals and those in allied fields. IEDC’s 4,200 members are committed to building local and regional economies worldwide. For more than 30 years, IEDC has been providing quality services that help find solutions to the complex and varied issues of economic development. IEDC’s technical assistance ranges from helping counties develop economic development strategic plans to assisting at-risk urban neighborhoods with small-scale revitalization and development efforts. IEDC has extensive experience assisting communities with program evaluation and strategic planning. The IEDC membership includes many types of organizations: city departments, development authorities, regional economic development organizations, utilities, consultants, neighborhood groups and nonprofit organizations. IEDC members direct nationally recognized programs in large metropolitan areas, smaller cities, and rural communities. The objective of this project is to analyze alternatives for an efficient and effective structure for economic development in the District of Colombia. The IEDC report assesses the current economic development structure in Washington, DC with a focus on the activities and functions of NCRC and AWC, presents findings from targeted interviews, introduces examples of comparative city economic development organizations, and, based on this information, puts forth and assesses scenarios of future economic structures for Washington DC. This IEDC report is presented to the Office of the Deputy Mayor for Planning & Economic Development and the Office of the Mayor. The project does not seek to closely scrutinize organizations or conduct an audit of activities, projects, or spending. The goals and scope of work for the project were developed in coordination with the Office of the Deputy Mayor for Planning & Economic Development and the Office of the Mayor. The IEDC study consisted of four components: 1) information gathering and targeted interviews, 2) two-day working sessions with member experts, 3) comparable and competitive city evaluations, and 4) final report. The information in this report results from information gathering and targeted interviews. IEDC engaged in intense research to create a review for both AWC and NCRC. A majority of input and information was collected through conducting interviews, which capture a wide-range of data and viewpoints. The list of interviewees was reviewed by the Office of the Deputy Mayor. From February 23, 2007 through March 13th, 2007, IEDC met with over fifty (50) individuals representing twenty (20) agencies or organizations. Appendix I of this report lists the agencies represented. Section 6 includes highlights of interview findings, which also draw on the March 13th, 2007 public hearing on the “NCRC and AWC Reorganization Act of 2007”. The two-day working session was organized around a series of high-level interviews and meetings with NCRC, AWC and other key stakeholders including Community Development Corporations, real-estate development industry representatives, federal and local agencies, City Council members, and more. At the end of the working session the IEDC team presented preliminary findings to the Deputy Mayor for Planning & Economic Development. The IEDC project team evaluated four comparable cities or regions, their economic development organizations, areas of focus, key programs, relations among organizations, and implications for Washington, DC. The four cities or regions and corresponding institutions include, (i) Alleghany County, PA and the Redevelopment Authority of Alleghany County, (ii) Detroit, MI and the Detroit Economic Growth Corporation, and, (iii) Portland, OR and the Portland Development Commission, (iv) Phoenix, AZ and the City of Phoenix Downtown Development Office. This final report is based on the findings from information gathering, interviews, meetings, as well as the two-day working session. Following this section, Section 2 of the report reviews economic development organizations in the United States, including common structures, objectives and activities. The next section discusses the Washington, DC economic development framework through a review of resources, tools, land possession and federal transfers. Sections 4-5 focus on NCRC and AWC, including history, structure, and activities. A list of strengths and challenges for each organization is presented. The next sections draw on interviews and case study research to present a summary of major interview findings, followed by an overview of economic development organizations highlighted in three case-studies. Detailed interview findings and complete case studies are located in the Appendix. Finally, the report presents seven scenarios for restructuring Washington DC economic development organizations, with the pros and cons of each scenario. Local economic development historically focused on grants and infrastructure enhancement for business recruitment, industrial development, and incentives. With a changing international economic context and increased national competition, the function of economic development organizations has evolved to include more of a focus on business retention and expansion, workforce development, neighborhood revitalization, technology transfer and entrepreneur development. Business retention and expansion has proven to be among the most important economic development functions since most jobs are created from existing businesses. Many municipalities are responding to a consistently more competitive environment through diversifying their scope of services, linking economic development and community development goals, and altering the economic development organization structure. Local economic development has traditionally been approached through a city or county government economic development office. Non-profit or quasi-public economic development organizations (commonly called economic development corporations or EDCs) have become increasingly common in the United States to meet new economy challenges and dynamics. Local government is the central initiator of economic development programs through public spending, regulatory powers, and promotion of policy objectives such as downtown housing and brownfields redevelopment. Government economic development may take the form of an economic development department, part of a planning or community development department, or part of the office of a mayor or other administrator. It may be set up as a separate organization, with the city council comprising the board of directors. Real estate is typically part of an overall economic mission, which may include business attraction and retention, small business development, and neighborhood revitalization. Similar to local government economic development organizations, private nonprofit economic development organizations can have a broad mission or one more focused on real estate. Controlled by a private or public-private board, they have more autonomy than local government EDOs, but still need government approval on major projects and statutory changes. They both utilize public and private funds for the creation of new jobs, expanded tax base, a stronger local economy. NCRC is an example of a private nonprofit EDO. Redevelopment agencies and authorities are more geographically specific than other EDOs. Typically, they are involved in activities related to improving a specific area, such as a central business district or port. Authorities and agencies often include both public and private board members, making them somewhat autonomous from local government. They are often set up to serve designated ‘blighted’ areas. AWC is an example of a redevelopment agency or authority. Business Improvement Districts (BIDs) focus on a limited geographic area, primarily commercial in nature, designated to provide a range of enhanced services to improve the local business climate. This process is managed by an organization of local businesses. A BID coordinates and directly enacts specific activities and programs, such as promotion, cleaning, and security. While BIDs are not commonly involved in real estate development in the same way as other EDOs, they can help foster the environment essential to a successful project. Special assessment districts are separate units of government that manage specific resources within defined boundaries. They can be established by local governments or by voter initiative, depending on state laws and regulations. As self-financing legal entities, they have the ability to raise a predictable stream of money, such as taxes, user fees or bonds, directly from property owners who benefit from the services. These districts are often set up to fund major transportation projects, such as light rail. Chambers of Commerce are often active in business recruitment, attraction and retention, entrepreneurial assistance, and tourism. Chambers of Commerce have often played a key role in development by providing a leadership role and, in some cases, financial resources. Community development corporations (CDCs) are usually for-profit or nonprofit organizations that focus on the development or revitalization of a declining community or neighborhood. Traditionally, CDCs focus on housing issues, but are becoming more involved in other economic development activities, such as commercial development. Because they are governed by neighborhood representatives, they play an important role in facilitating community involvement, feedback, and support for real estate development. Other nonprofit organizations can play active roles in redevelopment projects. These nonprofits may be affiliated with religious organizations and traditionally deal with issues such as housing or other community-based initiatives. Like NCRC and AWC, nonprofit EDOs and redevelopment authorities & agencies discussed above are transaction-driven organizations. That is, they stimulate real estate development through proactive tasks such as land assembly, feasibility studies, project financing, regulatory approvals, infrastructure improvements, and private sector participation. They can be funded by a combination of government, private sources, foundation donations, tax increment financing, and from internally generated funds. Their development deals can range from simple to complex. Deals could be a simple sale of excess city property to a developer for the redevelopment of a large area with multiple properties, a joint-venture in which the EDO (via the city) maintains an ownership stake and is a partner in redevelopment, as well as dozens of other deal-structures based on diverse funding sources and complex details. Most of economic development and real estate deals in Chicago and Phoenix are done by city government staff. Phoenix: City of Phoenix Downtown Development Office. The Portland Development Commission (PDC) presents an example of a city-government agency with a private sector board and staff. Cities often have various agencies of differing structures and focus that work together to implement economic development. For example, The Denver Urban Renewal Agency (DURA) is responsible for conducting urban revitalization activities throughout the City and County of Denver. Denver also set up the Stapleton Development Corporation to focus on a high priority opportunity, the redevelopment of the closed Stapleton Airport. This is somewhat similar to the current Washington, DC framework, with NCRC focusing on city-wide neighborhood revitalization and AWC honing in on the Anacostia Waterfront. Administrative autonomy combined with some degree of political accountability. Quasi-public EDOs generally employ full-time professional staffs which are usually not on public payrolls, but which are responsible indirectly to local policy-makers via an appointed governing board and annual contract reviewers. Boards usually are appointed partially by the chief elected official, but enjoy an independent staff hired by a professional executive director and an administrative budget which is assisted partially by outside revenues and/or long-term grants. Legal status. As quasi-public entities, most EDOs are considered legally to be private, nonprofit corporations which differ from municipal corporations, or government agencies. This allows EDOs to utilize many important development powers that are often prohibited otherwise to municipalities under most state constitutions. Mixed public/private governing boards. Most EDO boards must be composed of business, labor, and civic group representatives, as well as ex-officio members from local government agencies. These boards provide a useful institutional setting for improving coordination between public and private sectors. This provides additional capital commitments from the local business community resulting in more capital leverage. Staffed by professionals with real estate development and transaction experience. To compete with the private sector, the staff is typically higher paid than comparable level positions in the local government. Like real estate developers, they are very entrepreneurial. From: The International Economic Development Council, EDC Resource Kit. Economic and real estate development that is carried out by a city agency or department also has unique strengths and challenges. Increased link between local government and the business community through a single staff person or department. Integration of economic development objectives and strategies with other municipal plans or policies. Increased accountability for economic development activities. Potential for political interests to interfere with the process. Historical reluctance for the private sector to engage with the city for development projects or work with city staff to resolve an issue. The Washington National’s ballpark is being developed in the Southeast quadrant of the city, an area of disinvestment along the Anacostia River. The 41,000-seat stadium will contain 78 luxury suites, 3,000 club seats and 1,100 parking spaces (and nearly 6,000 parking spaces near-by). Other components include 30,000 sq. ft. of office space, a 6,000 sq. ft. conference center, 28,000 sq. ft. of concession stands, a 10,000 sq. ft. circle-shaped center field restaurant, a plaza and 10,000 sq. ft. of family picnic area. Surrounding development will include up to 3,000 residential units and 1,250 hotel rooms. AWC Involvement: The Anacostia Waterfront Corporation (AWC) is working with private developers and architects on this estimated $611 million project. The targeted delivery is 2008. The Downtown Action Agenda establishes a clear direction for future growth, so that emerging areas near downtown Washington may build their own unique identities. The Agenda also recognizes that all downtown neighborhoods need to be strengthened as vital and vibrant places. The Downtown Action Agenda has already resulted in the construction of several thousand new residential units in the downtown area. The goal of the plan is to help reestablish H Street as a safe, attractive destination offering a unique combination of neighborhood goods and services; places to live, work, shop, and eat; and settings for cultural enrichment and entertainment. Projects that have already taken place include restoration of the Atlas Theater, the redevelopment of the former Capital Children’s Museum into 474 condominiums and the enhancement of transportation and pedestrian movement. NCRC’s Involvement: R. L. Christian Library Site (from RLA). Proposed development of mixed use residential and retail project with a larger library. The 10-acre site of the former Convention Center will be redeveloped by the development team of Hines Interests. The scale of the site provides for up to 400,000 square feet of retail, over 770 units of market rate and affordable housing, 300,000400,000 square feet of office, one acre of public space and 1,920 underground parking spaces. The core uses of the site will be retail, residential and open space. The Anacostia River will serve as a backdrop to the 42 acre Southeast Federal Center. The Center will be a mix of condominiums, office and retail. Once an annex to the historic Washington Navy Yard, this site contains several historic industrial structures that will be transformed into living and commercial space. It will also be home to the Department of Transportation (DOT) headquarters and its 7,000 employees. Current plans call for the Triangle to become home to more than 6,000 residents, approximately 7,000 employees in two million square feet of office space, more than 500 hotel rooms and approximately 160,000 square feet of retail space. The Mount Vernon is an emerging new neighborhood. NCRC’s Involvement: CityVista (closed) – a mixed use development to include a grocery store, neighborhood retail, condominiums and rental apartments with affordable and workforce housing. This project is highlighted in Appendix III. 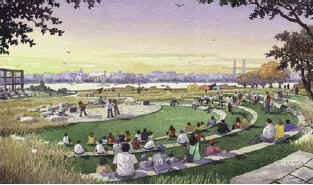 The Anacostia Framework Plan envisions Poplar Point as a great cultural park within the Anacostia River Park system. The vision includes diverse public uses, waterfront activities and a 70 acre park. The site will serve as a catalyst for neighborhood economic development, and include housing retail, commercial and residential activities. AWC’s Involvement: AWC is currently working with the National Park Service and the U.S. Congress on transferring the ownership of Poplar Point from the federal government to AWC. The vision for the Southwest Waterfront is a true urban waterfront where commercial, cultural, residential and neighborhood life come together. The proposed development will include 800 mixed-income residential units; 233,000 square feet of retail; a 400 room hotel; 85,000 square feet of office; 200,000 square feet of cultural space; 200 parking spaces; and 14 acres of open space. 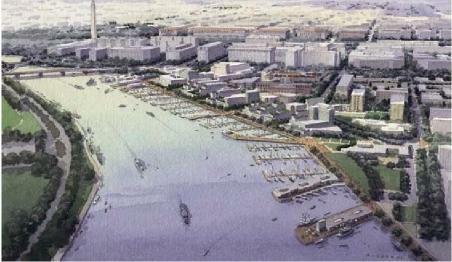 AWC’s is the lead agency in developing the Southwest Waterfront. NCRC’s Involvement: Waterfront/Waterside Mall (under negotiation). Mixed-use development to include neighborhood retail, office and residential in a long-abandoned building complex. The vision of the Anacostia Waterfront Initiative (AWI) is to create a new commercial, retail, residential and office destination with an attractive and highly active waterfront. The Anacostia Waterfront Corporation (AWC) is overseeing this initiative, and intends to coordinate the development of more than three million square feet of new office space, 4,500 units of new housing, 32 acres of new public parkland and a 20-mile “riverwalk” along both sides of the Anacostia River. The DC City Council adopted the recent 2006 revised Comprehensive Plan in December 2006 and has forwarded it to the National Capital Planning Commission and to the District Committee of the US House of Representatives for their review. The revised plan becomes effective upon completion of federal review. This version of the Comprehensive Plan contains 25 chapters including an introduction, 13 "citywide" elements, 10 "area" elements, and an implementation element. The area elements replace the ward plans of the previous plan, which was adopted in 1984 and amended most recently in 1998. The citywide elements include framework, land use, transportation, housing, environmental protection, economic development, parks, recreation and open space, urban design, historic preservation, community services and facilities, educational facilities, infrastructure, and arts and culture. Because of the District’s role as the nation’s capital, the Comprehensive Plan includes two components: the Federal Elements, which address federal lands and facilities, and the District Elements, which address all other lands. Being a federal city, Washington DC has special resources, as well as unique challenges. First among these is the amount of federal land within the city and adjacent to city sites. City development agencies and city government must face considerable land acquisition challenges. When Home Rule came into effect in 1973, a large amount of land was left uncared for by the federal or city government. Ownership was not always well documented, and much of the development that takes place in Washington, DC today must first pass through an onerous process of establishing and then transferring ownership. The General Services Administration is responsible for disposing of surplus or excess property for federal agencies. The process for federal agencies to declare and dispose of federal real estate is mandated by federal laws. The law that governs the General Services Administration (GSA) and all federal property management, procurement and disposal is the Federal Property & Administrative Services Act of 1949.4 The law was amended in 2000. The GSA Office of Property Disposal works with partner federal agencies, state and local governments, non-profit organizations, business groups, and citizens to make excess government real estate available for numerous public purposes. The GSA National Capital Region (NCR) serves federal agency clients located throughout Washington, DC and certain areas of Maryland and Virginia. A majority of space managed by NCR is in the District of Columbia. A negotiated sale is a transaction in which the Federal Government offers State or local governments the right of first refusal on a property before it is offered to the general public. There is no restriction on the use of this property. Washington DC, for example, can receive a land transfer to be used to foster economic development or address community social needs. The city, in turn, can transfer that land to an entity to meet public goals. The National Capital Revitalization Corporation and the Anacostia Waterfront Corporation were set up to be such entities. NCRC was created to manage designated development projects in the District of Columbia, primarily in priority development areas (PDAs). It can both initiate new real estate development projects through partnerships with the private sector, and provide real estate consultant services for parcels controlled by the District. Likewise, the Anacostia Waterfront Corporation is tasked with implementing the Anacostia Waterfront Initiative, which includes developing a large tract of land, neighborhoods, and enhancing the environment. The fact that the federal government owns substantial tracts of land in PDA areas throughout the city and in Anacostia, which are administered by GSA, there are significant opportunities not only for retention and expansion of the federal government, but for adaptive reuse and infill development in NCRC and AWC territory. Recently, in December of 2006, President Bush signed H.R. 3699, the "Federal and District of Columbia Government Real Property Act of 2006", into law.5 This Act authorizes the exchange of several specified parcels of land between the Federal Government and the District of Columbia. Washington, DC Economic Partnership: A non profit, public-private partnership dedicated to facilitating economic development in the District of Columbia. Anacostia Waterfront Corporation: An independent instrumentality of the District of Columbia, charged with the cleanup and redevelopment along the Anacostia River. National Capital Revitalization Corporation: A public development company charged with spurring revitalization in underserved and emerging neighborhoods throughout Washington DC. DC Office of Planning: Focus on the revitalization of neighborhoods throughout the District in cooperation with residents and by developing detailed plans to reflect the needs of these residents. Office of the Deputy Mayor for Planning and Economic Development (DMPED): The DMPED supports the Mayor in developing and executing the District’s economic development policy. Great Streets Initiative: A multi-year, multiple-agency effort to transform underinvested corridors into thriving and inviting neighborhood centers using public actions and tools as needed to leverage private investment. It is under the Office of DMPED with a budget of $16 million for FY 2006.
reSTORE DC/DC Main Streets: This initiative by the Office of DMPED helps revitalize neighborhood business districts and small businesses through organization, design, promotion, and economic restructuring of neighborhood commercial areas. It was launched in January 2002. Washington DC has various economic development tools, which include employment tax credits, technical assistance, and incentives. A complete list of these incentives is included in Appendix II. The National Capital Revitalization Corporation (NCRC) is a public/private entity designed to serve as a tool for delivering economic development services in the District of Columbia. NCRC's mission is to create jobs, attract businesses, enhance the tax base and improve economic opportunities for citizens and businesses in the District. DC Agenda, a non-profit organization that sought to address fiscal, social, and economic issues, worked to help formulate this partnership. The International Economic Development Council provided technical support to a steering committee under the direction of DC Agenda to guide NCRC strategy and investment. DC Agenda no longer exists. To create a nimble organization that can effectively stimulate and manage development projects the increase on the city's employment and tax base. Though NCRC was established under law in 1998, it took some time for the organization to staff-up. The first round of staff was hired in August of 2001. Also, NCRC did not fully receive the land portfolio from the City (via RLA) until 2002. The NCRC Act of 1998 required that NCRC create a revitalization plan, which set forth the Corporation's strategy for facilitating business investment, employment growth, the development and renovation of ownership and rental housing, retail and other services, off-street parking facilities, and public infrastructure improvements within twelve Priority Development Areas and in neighborhoods throughout the District. The plan was prepared in consultation with the executive and legislative branches of the District government, the public, and the National Capital Planning Commission. NCRC is structured to work closely with the Office of the Deputy Mayor for Planning and Economic Development to coordinate the activities of District agencies responsible for economic activities. The nine-member NCRC Board is comprised of four Mayoral appointees, three Presidential appointees, the Mayor and the Chief Financial Officer of the District of Columbia. The CEO is selected by the board, and responsible for day-today management of the NCRC and its staff of professionals dealing with development, design and construction, finance, and legal matters. NCRC currently has 37 staff. Under the NCRC Act of 1998, NCRC took over the portfolio of the District of Columbia Redevelopment Land Agency. To best incorporate these projects while insulating NCRC, the RLA Revitalization Corporation (RLARC) was formed as a subsidiary of NCRC. RLARC is charged with the management and disposition of a portfolio of more than 80 parcels of real property located in the District of Columbia. RLARC holds the properties gained through appropriation, and the portfolio totals about $3-4 million. RLARC has a separate accounting system and a few dedicated staff. NCRC's Board of Directors also assumes the functions of the Redevelopment Land Agency's Board of Directors. Implement changed physical conditions in commercial areas of the District. Specific to RLARC: select developers and approve development agreements for property purchased under the urban renewal program. Since 2001 NCRC completed an investment plan to guide real-estate development, which was presented to the City Council. The federal government provided initial financing for the NCRC with an economic development grant of $25 million. This initial capitalization was to support start-up activities and seed investments. Fannie Mae committed to invest $75 million in NCRC projects over a period of several years, but that commitment was never realized. NCRC also gained asset management and disposition of the Redevelopment Land Agency's portfolio. NCRC currently gains revenues from investments. NCRC was given the power and authority to raise funds from other sources. The Corporation can receive contributions of funds and other assets. It can earn fees from financing and service programs. It has been given the authority to raise capital through the sale of bonds to support specific project initiatives. Recently, the corporation created a $150 million strategic equity partnership with Morgan Stanley. This $150 million strategic equity partnership provides significant capital to deliver catalytic development throughout the District of Columbia. With this venture, NCRC has the option to secure equity and invest into projects that would typically not have access to institutional equity funds. The CRLF created a $3 million revolving loan fund to finance economic development activities and micro-enterprise assistance, with emphasis on assisting local, small disadvantaged business enterprises (LSDBEs) in Washington, DC. NCRC partnered with the Washington Area Community Investment Fund, Inc. (WACIF) to provide administration and underwriting services. This $3 million financing tool provides private developers and LSDBEs located in Washington, DC with access to capital as an incentive to encourage the “rehabilitation” of small-scale, privately-owned affordable housing, low-income public housing, commercial and industrial buildings, historic properties, and closed and underutilized buildings. The HELP Program allows funding to be effectively and efficiently allocated to qualified home buyers for down payments and other forms of purchase assistance. To date, eight low-to moderate-income individuals have been identified and will receive assistance with the purchase of homes in the Fort Lincoln community. This initiative was designed to help teachers and other District government employees obtain affordable and workforce housing in the city. Together, NCRC and the DC Public Schools (DCPS) will identify joint development opportunities for below market-rate housing on or adjacent to DCPS and NCRC land parcels. The program was launched in April of 2006. Under this program, RLARC acquires publicly and privately owned vacant land, abandoned structures and residential properties in targeted communities of Wards 7 and 8. Once assembled, RLARC partners with LSDBE developers to produce residential units that are available to and affordable by low and moderate income families in Washington, DC. In the past year, sixteen properties have been acquired in Wards 7 and 8. Construction proposals for two properties have been developed and provided to developers. The PART program is designed to bridge the skills gap that prevents most DC residents from obtaining long-term careers in the building trades. The program has graduated 47 students and placed 40 in jobs. This community based program provides assistance to small businesses that want to do business with NCRC and other District agencies. Businesses can receive assistance with the LSBDE application process, and participate in capacity building classes such as proposal writing, marketing, accounting, project management and relationship management. NCRC pays up to half the cost of these classes and covers partial cost for advertising in local newspapers. Fifty small businesses have participated to date. Together with its affiliates, NCRC is helping to attract up to $1 billion in private sector investment to District neighborhoods. This investment includes the development of more than 3.4 million sq. ft. of retail and office space, 1,400 new homes and 7,000 jobs. The NCRC publication, NCRC Project Profile – Projects and Initiatives for 2002-2007, includes the profiles of 21 closed projects, 15 projects under negotiation, and seven projects in the pipeline. The 21 closed projects are listed below by project name and type. A description of three NCRC projects is included in Appendix III. This section draws on input gained through interviews and meetings to produce a list of NCRC’s strengths and challenges. Position as a catalyst, facilitator, and developer. The Corporation is able to use tools to acquire and develop land that may not be developed otherwise, which stimulates surrounding development. Ability to deploy a wide range of approaches for property disposition, ranging from straight disposition to joint-ventures, depending on the needs of the project. In a straight-disposition approach NCRC is better able to incorporate or ensure public interest goals such as affordable housing and LSDBE requirements are met. Ability to attract private investment. NCRC has successfully acquired equity for projects that would normally require public investment. Such privately funded developments in turn generate tax revenues for the city. City-Federal Partnership. NCRC’s board, comprised of mayor and federal appointees, has the potential to bring federal and local credibility to the development process. The private board is an important conduit to the private sector and communities. Quick response to market opportunities. The turn around time from issuing and RFP to acquiring a developer and funding is very quick. This means that the period negotiating with a developer and beginning the project is minimized. Federal investments. NCRC does not receive District of Columbia funds for their operations. They operate the organization through the initial $25 million federal grant and through revenues gained in project disposition or joint venture projects. Unique powers and responsibilities for executing real-estate development projects outside the government system. NCRC was structured to have many of the typical powers of a city, including the authority to issue bonds and use eminent domain. Their quasi-public structure allows them to function outside of the ‘red-tape’ and avoid intense oversight and procurement systems. Entrepreneurial, professional staff. As a corporation outside of the city, NCRC is able to hire professional and experienced staff at all levels of operations. The Corporation has been successful in attracting staff with required skills through offering an attractive salary that, though perhaps still somewhat below privatesector amounts, is combined with a public-interest mission and projects. Free of lawsuits. NCRC has never been sued. Social objectives. NCRC incorporates local, small disadvantaged businesses in development projects, and has demonstrated achievements for workforce housing and affordable retail goals. Unstable leadership. NCRC has had three directors and two interim directors since it began staffing in 2000. Leadership changes may be due to the multi-level requirements of the position, including public sector political skills, real-estate development experience, and a willingness to work with diverse parties. Previous directors found this a difficult balance to achieve. Limited executive-branch leadership role. The previous city administration took a ‘hands-off’ approach to NCRC. Some important issues were left to the board and staff to resolve, and there was little direction given to activities. Similarly, NCRC did not find a significant amount of support for its projects or assistance moving projects forward. Unclear strategic plan and mission. NCRC was developed under a broad city revitalization mandate with high expectations for performance. In subsequent years a narrowing of objectives was never fully achieved. NCRC was left open to select projects and focus. Consequently, stakeholders became confused over the organization’s mission and questioned if performance goals were being met. Young organization. NCRC did not begin to fully staff the organization until August of 2001. The organization received the land transfer from RLA in 2002. As such, the organization has been operating with staff for less than six years and able to develop assets for less than five. Given typical start-up times for economic development corporations, the organization has had little time to find and grow into its development niche in Washington, DC. Lack of transparency, responsiveness, and communication with the City. NCRC was set up to act like a private corporation with a social purpose. There is concern that the corporation has strayed too far from city oversight and accountability. This may likely be due to lack of direction from the previous city executive, a lack of a clear strategy and responsibilities, continual internal leadership shifts, and an independent and entrepreneurial spirit within the organization. Questionable long-term neighborhood revitalization focus. While NCRC has functioned like a neighborhood real-estate developer, the organization is perceived to be less focused on long-term revitalization planning and development. Financial constraints appear to have forced NCRC to take a shorter-term perspective. Difficulty acquiring assets from the City. As part of its establishment, NCRC took over deals in the Regional Land Authority (RLA) portfolio, which was under the Department of Housing and Community Development (DHCD), a recipient of Housing and Urban Development (HUD) funds. The files received from RLA were disorganized and often missing crucial information, such as ownership. It took a great amount of effort to not only acquire the files, but to sort through and investigate missing data to complete the files. RLA deals burdensome, requiring a complex structure. Many deals that came to NCRC from the RLA portfolio were five or more years old. To accommodate the RLA portfolio, NCRC created a new entity, the RLARC. Some old RLA deals had been sitting with the city for more than 10 years with no movement, and some dated back to land that was part of urban renewal in the 1960’s. When NCRC took these on, community stakeholders found fault in the Corporation for the lack of progress even before they were holders of the assets. Independence and Self-Sustaining. The fact that NCRC does not receive dedicated annual operational funds forces them to be a self-sustaining organization. Their actions to reach that end have led some to take issue with their position as potential competitors in the private market and with Community Development Corporations. Nonetheless, most of NCRC development takes place in neighborhoods with limited private developer interest or resources for community-based development. Confusion over powers, control, and flexibility. NCRC was created to have many of the tools for economic development that the city has. They were charged to use them swiftly and efficiently. It appears there is a difference of understanding between many stakeholders, namely the city and the corporation, in terms of how to interpret and implement the use of tools. Low levels of self promotion and communication. Many are not aware of NCRC’s accomplishments and activities. There is a perception that they have had few successes and few projects in general. Major advocates of NCRC are those who are intimately involved with NCRC and have worked with them on projects. Lack of coordination with critical agencies. NCRC has not taken the lead to engage with city agencies or partners in development. They do so to accomplish a deal, but have not realized the full potential of partnerships for neighborhood revitalization. Managing Expectations. With a very broad mandate yet no clear strategic plan or performance measures, expectations soared for NCRC. The City and NCRC must work together to develop performance measures and manage expectations. It needs to accomplish these objectives in a manner that will permit residents and businesses in affected communities to reap the economic benefits of this restoration and revitalization. On March 22, 2000, Mayor Anthony Williams brought together the 20 Federal and District agencies that either owned or controlled land along the Anacostia river to sign a Memorandum of Understanding (MOU) that created the historic Anacostia Waterfront Initiative (AWI). AWI produced the Anacostia Waterfront Framework Plan in 2003, in cooperation with citizens and community stakeholders, to guide the revitalization of the Anacostia Waterfront over the course of the next several years. The AWC was established under the Anacostia Waterfront Corporation Act of 2004 to implement the vision outlined in the Anacostia Waterfront Framework Plan. 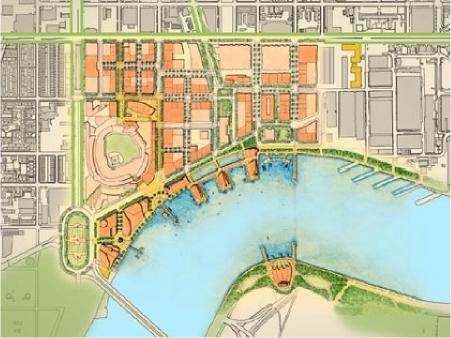 The city determined, after looking at best practices in other cities, that the implementation of the Framework Plan could only be accomplished by establishing a local waterfront authority – a separate entity exclusively focused and dedicated to the redevelopment of the Anacostia riverfront. The Council was intent on making the AWI more than just an economic development plan. The affordable housing and LSDBE requirements were increased as compared to the vision of the Framework Plan to equalize the benefits of the revitalization of all District residents. Independence from the traditional government bureaucracy. Flexible procurement and processing requirements were established to allow leveraging of public and private resources for complex projects with a high social impact. In addition, the city felt that there was no capacity to implement the vision of the AWI within the existing government. By enacting the AWC Act of 2004, the DC Council recognized that the economic revitalization of the District’s long-neglected waterfront presents a vital opportunity to address the problem of chronic unemployment among DC residents, especially those who live in Ward 8. Section 124 of the AWC Act provides that developers, contractors, and construction managers on projects that are eligible to receive assistance from the AWC must “engage in good faith efforts to ensure that at least 51% of the new jobs created in connection with the project are filled by residents of DC, with a preference for at least 20% of those jobs designated for residents of Ward 8”16. Section 123 of the AWC Act provides that any project developed or assisted by AWC must also comply with the First Source Agreement Act of 1984, DC Code section 2.219.01 et seq., which similarly requires developers of government-assisted projects to make a “good faith effort” to ensure that at least 51% of the new employees hired for the project are DC residents17. The Framework Plan identifies five critical themes essential to achieving a great urban waterfront. These themes continue to guide AWC's work today. AWC is governed by a Board of Directors with nine (9) voting members and four (4) nonvoting members. Seven (7) of the voting members are appointed by the Mayor with the advice and consent of the Council. The Board has representation from community development corporations (CDCs), the environment community, labor union and the NCRC. The Mayor and Chief Financial Officer for the District of Columbia are exofficio voting members of the board. The four non-voting ex-officio members, invited to serve at their sole discretion, include The Chairman of National Capital Planning Commission, Secretary of the United States Department of Interior, Administrator for the United States General Services Administration and Secretary of the United States Department of Defense. The CEO is selected by the Board and is responsible for the day-to-day functioning of the organization. AWC currently has a staff of 43 full time employees. Below is an organizational chart to further explain the structure of the AWC. The District of Columbia provided initial funding of $3.8 million in operating expenses for the AWC. The city government still provides resources for the operating expenses, being an instrumentality of the city government. AWC receives funds from various sources for capital projects. It is also a recipient of small federal grants for a few projects. AWC finances a number of its projects through public-private partnerships to leverage federal, local and private resources. The Anacostia Waterfront Corporation is leading the redevelopment efforts of the neighborhoods, roads and parks beside the long-neglected Anacostia River. The project area covers more than 2,800 acres of land along the river and stretches nearly seven miles from the Potomac River to the Maryland border. AWC is currently actively involved with 10 development and redevelopment projects that are listed below. Many of these projects have involved community input, LSDBEs and strict environmental standards for implementation. A sample of their projects is included in Appendix IV. Anacostia Waterfront Environmental Design Standards: The AWC drafted the environmental standards to be adopted by its development partners and the City in implementing cutting-edge environmental policies to “green” urban areas to make neighborhoods more livable and sustainable. The environmental standards address four (4) areas of opportunity: integrated environmental design, green building, storm water control, and site planning and preservation19. Community Grants and Youth Development Initiative20: AWC’s Community Grants and Sponsorship Program supports nonprofit organizations that provide quality programming to connect people to the Anacostia River. The objective is to engage the communities in the river cleanup, thereby promoting the reconnection of the community residents – particularly youth and children – as well as the importance of environmental stewardship. East of the River Initiative21: AWC is working with the Fannie Mae Foundation and America’s Promise to help ensure that East of the River children, youth, and their families have continued access to services that provide educational opportunities, quality after-school services, workforce training, mentoring opportunities, and other quality programming. This is part of the holistic approach to the redevelopment process along the river. LSDBE and Workforce Intermediary Initiatives22: AWC has instituted a Workforce Intermediary strategy that will make it easier to access existing District of Columbia public and private resources to ensure that District residents know about, train for, and secure jobs with the development projects in the Anacostia area. This will also help boost involvement of LSDBEs in the projects. The Workforce Intermediary will provide training and job placement services to the residents that once trained will not only provide a pool of trained workers for the AWC projects but also the LSDBEs working in the region. The Business Resource Center (BRC)23: The BRC is a partnership between the AWC, DC Department of Transportation (DOT), and the DC Department of Employment Services (DOES). It is a one-stop business, education and employment opportunities resource center to heighten awareness and engage the East-of-the-River community in the restoration of the Anacostia River and revitalization of its shores by stimulating economic development in neighborhoods through job creation and commercial activity. The primary goals of the BRC will be to: increase the capacity of surrounding communities to create wealth and jobs; link employment and job training to local residents and new development; and build the mechanisms to enhance local labor force development through job training and apprenticeships. Focus in mission. The focus afforded to AWC on the redevelopment of the Anacostia River, guided by the Anacostia Waterfront Framework Plan, helps them develop plans and projects that support their mission. Community involvement and support for projects. AWC has taken an inclusive approach in the design and development of their projects along the Anacostia River. Communities along the river see AWC as a partner in the redevelopment of their long neglected neighborhoods. Involve Local, Small and Disadvantaged Business Enterprises (LSDBEs). Local businesses have been involved in the projects amounting to more than $1 million in FY 2005 and approximately $1.8 million in FY2006. Entrepreneurial and professional staff. AWC has been able to hire and retain professional and experienced staff since its inception by offering competitive salaries and a challenging and interesting mission with a public interest. Holistic approach to revitalization along the Anacostia River. AWC has adopted cutting edge environmental standards for the cleanup of the Anacostia River and development along the river to ensure sustainability and integration into long term economic restoration of the community. Availability of necessary tools to ensure successful implementation of development projects. AWC has the powers to use eminent domain to condemn land and issue bonds for financing its projects. It also has the ability to use Payments In Lieu Of Taxes (PILOTs) when working with government agencies for funding its projects. These tools ensure that the AWC can provide support to its LSDBEs and other providers in the various development projects. Coordination and partnership with various city and federal agencies. AWC works in partnership with various city agencies in its projects such as the National Capital Planning Commission and the Office of Planning in the District of Columbia. Frequent leadership changes. AWC has had two CEOs, two interim CEOs and one interim COO in a little over two years, since inception in 2004. This might be due to the difficult job of the chief executive to constantly balance the expectations of the City government with the needs of the community and developers. Young organization. AWC became fully operational only towards the end of FY 2005 when they had an operational staff and office space. Given the typical startup times for economic development organizations, AWC has not had the opportunity to establish itself fully. Lack of clear title to land that they are supposed to develop. Most of the land that AWC is mandated to develop is under federal control. Parts were also under NCRC control that led to a protracted battle with NCRC that was recently resolved. Gaining title to land in their area is integral to their progress in the development of the Anacostia area. Engagement from the City Council and Executive. There is need for improving the communications with the City Council and Mayor to keep them abreast of progress made on projects as well as receiving input. Concern in removing quasi-independent status from the NCRC and AWC and bringing them under the city. There is widespread concern across the board in abolishing the two organizations and bringing them under the City government. The City government is not perceived as having the capacity and expertise to take on the complex projects that both the organizations are involved with. In addition, the cumbersome procurement and personnel systems of the City would slow the pace of real estate development deals. Nonetheless, most groups recognize that the City has improved capacity over the years. Lack of clarity and understanding among external entities about what the organizations have accomplished over the last few years. Many individuals and organizations were not completely aware of the projects and initiatives of the two organizations. Most agreed that the organizations have not done a good job of promoting themselves and disseminating information about their projects and achievements. Leadership is needed at many levels to make the organizations successful. This starts at the top with an involved Mayor and City Council that can provide strategic direction to both the organizations. The City needs to ensure that the organizations do not drift away from their core missions of improving the economic conditions in the communities that they work in. In addition, both organizations need highly effective Chief Executives that can balance the expectations of the City government and community on one hand with developers and CDCs on the other. Lack of clarity and understanding on the creation of the AWC. The creation of AWC was opposed by a number of people interviewed; most felt that there was no need for another entity. It created confusion as to who is responsible for redevelopment functions in the City. However, many felt AWC’s holistic planning and development approach was very positive to Anacostia. Concern with the independent status of NCRC and lack of Council oversight in its direction. Many groups expressed concern that NCRC has drifted too much from its mission, focusing too much on deals at the expense of broader neighborhood redevelopment goals. While it was setup to be an independent corporation, it needs to align its mission with the broader development goals of the City. The land swap between the NCRC and AWC in the Southwest Waterfront has bruised both the organizations and their image in the public. This issue was discussed in most interviews and most considered the drawn out dispute avoidable. In addition, many believed the roots of the problem to be in the handsoff approach taken by the previous administration in dealing with the issue. They felt the City should to play a more active role in providing direction to the two organizations, especially when there are conflicts with other agencies. Transition to another option can potentially be expensive and cumbersome for the two organizations. A number of groups expressed concern that the momentum that has been achieved in the projects, especially those east of the Anacostia River, will be lost in transitioning the two organizations irrespective of the alternative chosen. Many groups would like to see the impact of the transition mitigated through careful planning and implementation. NCRC and AWC partners in development projects had a good experience working with them. A majority of those who have worked with the two organizations consider them to be easy to work with, professional and dedicated to their mission. This includes neighborhood groups, CDCs and developers. Redevelopment Authority of Allegheny County is a “paper” agency under the Economic Development Department of the county government. Its major functions are to acquire and prepare real estate, manage finances from public sources, and facilitate the reuse of vacant, tax-delinquent, or blighted property. The Downtown Development Office in the City of Phoenix is a department within the city government and undertakes real estate projects for the development in downtown. The Community and Economic Development Department as well as the Neighborhood Services Department also perform some economic development functions for the City of Phoenix. Detroit Economic Growth Corporation is an independent entity that works in close cooperation with the City of Detroit to carry out its economic development functions. It is the lead implementing agency for business retention, attraction and economic development initiatives, including real estate development, for the City of Detroit. Below is a brief summary of the case studies. For details about each case, please refer to Appendix VI A-C.
Portland Development Commission, Portland, OR Autonomous subsidiary of the city government All private Board of Directors, nominated by the Mayor and approved by the Council Tax increment financing is the primary funding source for the annual operating budget. Other sources are Federal and other grants and the City of Portland. Maintain NCRC and put the development activities of AWC under NCRC. AWC remains as an independent body with a planning function. The purpose of the scenarios is to inform and to provide options. The section is structured by presenting a table with each scenario and the major advantages and disadvantages. The advantages and disadvantages are considered within the context of Washington, DC. Following the table is a narrative of each scenario with specific elements and issues to consider in implementation. 1: Maintain NCRC and put the development activities of AWC under NCRC. NCRC takes on the development functions of AWC. 2. Merge NCRC and AWC through a phased process. 3. NCRC remains the same, but fold AWC into the city’s planning and environmental departments. The city can use the paper agency to issue debt. This removes the city from the risk of affecting their credit rating in case of a default. 5. Deputy Mayor for Planning and Economic Development becomes the Chair of the Board of both NCRC & AWC. Potential loss of the remainder of the $25 million federal capitalization of NCRC. Loss of nimble procurement processes, including purchasing and disposing off land. Potential to affect the credit capacity of the city to take on additional debt. In case of default, city becomes accountable. Possible loss of the remainder of $25 million to NCRC in federal capitalization (approx. $8.5 million). Transferee may not be entitled to these funds. The following paragraphs provide a few elements of consideration for scenario implementation. Scenario 1: Maintain NCRC and put the development activities of AWC under NCRC. In scenario 1, AWC continues on as an independent body with a specific planning function. Currently, AWC is recognized and credited for its focus on the Anacostia waterfront and neighborhoods that have seen decades of disinvestment, beginning with Urban Renewal in the 1950’s. AWC’s geographic-specific mission combined with high environmental and social standards or initiatives (including affordable housing and workforce development) are arguments for the organization to continue in its planning and implementation of certain aspects of the Anacostia Waterfront Initiative. To take on the development activities (specifically the neighborhood real-estate activities) of AWC, NCRC should incorporate a strengthened neighborhood development commitment with specific initiatives. It is necessary to develop a strategy to work with community development corporations (CDCs), other community based organizations, the DC Office of Planning and others for project development. Under this scenario NCRC will work with AWC as a planning body and other city agencies to ensure all neighborhood projects are planned and implemented. For example, this could include widening a side-walk adjacent to a development to ensure pedestrians as well as local retail out-door space is accommodated. These smaller projects will be conducted in addition to, and also in conjunction with, bigger deals NCRC currently works on. One theory that emerged in interviews conducted by IEDC is that efficiencies could be gained by joining NCRC and AWC. Under this scenario the two organizations should slowly be joined so as to help avoid, as much as possible, a clash in focus and business culture. A likely method is to maintain separate systems under an umbrella company that, over time are joined to bring the organizations together. Scenarios 1-3 could look to the Detroit Economic Growth Corporation (DEGC) case study in Appendix VI-C as an example of establishing an independent non-profit economic development agency. The DEGC is a private-public partnership, bringing together public sector policies and priorities with private sector development and investment interests to strengthen Detroit’s economic development. The organization also manages a subsidiary, the Detroit Economic Growth Association (DEGA), a “paper agency” established to receive charitable contributions. More details about DEGC are found in the appendix. Washington, DC has increased the functioning of government agencies, and feels confident they are able to take on the planning and environmental focus called for in the Anacostia Waterfront Initiative. There is a fear that by removing the entity that is dedicated to development of Anacostia, AWC’s initiatives (as spelled out by the AWI) will be lost in city agencies. To help alleviate this from happening it is important that the city foster the creation of a citizen advocacy group. The group should include advocates from across the city and beyond that are devoted to uplifting the Anacostia, and successful in fundraising. They will play an important part to bring in outside funds (for example through foundations) and recognition. Again, any change or phasing out of an organization should be done over time, and NCRC should incorporate a strengthened neighborhood development commitment with specific initiatives. A ‘paper’ agency, as the name suggests, is an entity that for the most part only exists on paper. In the economic development industry this usually means an organization falls under the authority of the government or a new government entity. The paper agency maintains an independent board of directors appointed by an elected body, but does not have dedicated staff or a CEO. The paper agency reports to a director within a government entity. Like many of the scenarios mentioned here, Scenario 4 will present particular benefits and challenges. One challenge is the restructuring of these entities under the city, and the disruption caused to staff, partners, and existing contracts under NCRC and AWC. An appropriate transition is crucial. Plans should be developed to phase the transition, staff the agencies, and ensure deals and negotiations are not interrupted. To minimize the disruption, it is assumed that much of the staff would move from the agencies to the city. Unlike many cities, the District of Columbia’s salaries at the director level are comparable to those in AWC and NCRC. This could encourage agency staff to move to the city and remain working on the paper agency projects. The Redevelopment Authority of Alleghany County (RAAC), discussed in Appendix VIA, was restructured from a stand-alone agency to become a paper agency in 1995. RAAC is an independent authority overseen by a volunteer board of directors appointed by the Chief Executive. It is managed under an agreement with the Allegheny County Department of Economic Development (ACED), and is staffed by ACED. The new structure allows for the efficient operation of redevelopment projects by executing many functions and processes outside of county government. The case study offers further details about this option. Scenario 5: DMPED becomes the Chair of the Board of both NCRC & AWC. In this scenario the organizations remain largely in-tact but with major refinements. Refinements should be based on the challenges for each organization as identified in Sections 4-5, as well as the findings from interviews. With the Deputy Mayor overseeing each organization as the Board Chair, city oversight and leadership should be strengthened. This will also help coordination with other agencies, as well as coordination among the two when necessary. The dedicated focus and mission of each organization will remain, along with key staff. Likewise, this is an opportunity to modify or clarify the mission and functions of each entity. Board members should continue to serve, with a review of long-term board structure in terms of appointees and term limits. For example, it may be beneficial that the Mayor appoints all board members, and term limits are decreased for the short-term. The Portland Development Commission (PDC) and the City of Phoenix Downtown Development Office (DDO) offer two examples of how city governments lead economic development. These case studies can be found in Appendix VI-B. PDC is a subsidiary of the city government and conducts all economic development functions for the city. This interesting structure includes a private board, allowing for public-private interaction within the context of city government. The DDO in Phoenix is located directly in the city, and works with two other city departments to fulfill city economic development functions. The DDO is responsible for real-estate development projects in downtown Phoenix. Again, this scenario requires that concerns about each organization are addressed immediately. These include challenges as identified in Sections 4-5, as well as findings from interviews for this study. A major consideration to undertake this option is enhanced involvement of the city, especially in NCRC’s operation. The Deputy Mayor or Mayor can take more of a lead in engaging with the board of each organization and directing activities. This will avoid future miscommunications and apprehension. This scenario, along with others, demands a high-level of communication with stakeholders to address how issues that have been raised are being dealt with. The best way to do so is through an organizational strategic plan. In the case of NCRC, this could be through the creation of a specific plan that indicates their mission, strategies, activities, tools, requirements, and more. After board approval, the plan should be approved by City Council. For Scenario 7 to be a success, both organizations must successfully recruit a director with both real estate experience and public sector political skills. The IEDC Economic Development Organization Structure Review has analyzed alternatives for an efficient and effective structure for economic development in the District of Colombia. This final report is based on the findings from information gathering, targeted interviews, meetings, as well as the two-day working session. The report highlights that both NCRC and AWC are valued in Washington, DC. People and organizations that have interacted with them on projects praise their efficiency, their focus, or their successful projects. However, there are concerns about the need for two organizations, levels of accountability and control, as well as the scope of work. Finally, with an enhanced capacity in city government developed over the last five years, and a new administration interested in being more directly involved in economic development, organization structure options emerge. As demonstrated in the US Economic Development Organization Framework section, there are many options for local governments to take on economic development. Realestate development is nearly always a crucial component, and is combined with larger goals of business retention, expansion, attraction, as well as workforce development. There benefits and challenges to nearly every structure, and Washington, DC, like any city, must analyze their own needs to determine the right configuration. The District of Columbia has a number of resources in terms of economic development organizations and tools, along with a market that is ripe for development. However, the city’s legacy as a federal city means that it has great resources as well as challenges in terms of land title and transfer. The research and interviews conducted through the course of the IEDC study show a remarkable concern for healthy and just economic development in Washington, DC. NCRC and AWC both fill an important niche in the City’s ongoing revitalization, and it is clear that no-one wants to lose or backtrack on the successes the organizations and their partners have gained. The case studies of comparative city economic development organizations demonstrate how other cities are stimulating economic development. PDC in Portland serves a strong city government as a subsidiary and has a private board. The Phoenix Downtown Development Office is a city agency that coordinates with other agencies for overall city development. RAAC in Alleghany County is a ‘paper’ agency that draws staff from and reports to the County Economic Development Department, but maintains an independent and engaged board. DEGC of Detroit is a non-profit corporation that works with but is independent of the City government. Based on the information gathered and observations, IEDC put forth seven scenarios for restructuring Washington DC economic development organizations, with the pros and cons of each scenario. It is anticipated the scenarios, and this study process, will help the city to continue to meet the aspirations of all involved in this study; to foster sustainable and equitable economic development in Washington, DC. Marshall Heights Community Development Organizations, Inc.
* Note: Many organizations included interviews with multiple people. Enterprise Zone Employment Tax Credit: Annual Federal employment tax credit for 20% of wages paid to DC resident employees (up to $3000 credit per employee). Customized Training Program: Employers are reimbursed for funds spent to train district residents as skilled employees. Work Opportunity Credit: Annual federal employment tax credit of up to $2400 per employee for all who meet the eligibility criteria. This program awards technical assistance and grants to assist commercial revitalization activities or special volunteer-produced projects that enhance neighborhood business districts not in designated Main Street areas. This program awards grants to assist in the acquisition or development of commercial real estate projects that enhance neighborhood business districts. DC Revenue Bond Program Tax-Exempt Bond Financing: Provides for the issuance and sale of tax-exempt revenue bonds to finance, refinance and reimburse costs to capital projects, including property acquisition, renovation, construction and purchase of machinery and equipment. Downtown Tax Increment Financing Program (TIF): The Downtown retail incentive program sets aside $30 million of tax increment financing from retail sales for tenant improvements in the reemerging downtown retail core. Building owners will be able to receive up to $150 per square foot of District Government tenant improvements (TI) allowances for qualified anchor and icon retailers that locate on sections of F, G, 7th or 11th Streets near some of the city’s most successful new retail, restaurant and museum venues. This program is designed to attract new apparel, general merchandise and home furnishing tenants to fill a portion of the 600,000 square feet of new and repositioned retail space within downtown’s retail entertainment core. CityVista is a mixed-use development in the Mt. Vernon Triangle neighborhood on the former Wax Museum site. Project completion is estimated for the beginning of 2008. Development includes a 50k+ sq.ft. grocery store, neighborhood retail, 441 condominiums and 244 rental apartments with 20% affordable and workforce housing. The total 130,000 sq.ft. of retail includes a new prototype "urban lifestyle" Safeway. Because of its location and size, CityVista will anchor the redeveloped Mt Vernon Triangle – one of DC’s next big neighborhoods. LSDBE equity participation is at 20% for the CityVista project. An estimated 275 permanent jobs will be created from the project. Tax revenues for the first year are estimated to be $8.5 million. Total non-profit and private sector investment includes $191 million and there is no nonNCRC district investment in the project. This project was a former RLA site. NCRC took over management in 2002. The RFP was issued under NCRC in July of 2003, the developer was selected in February of 2004, and the deal closed in December of 2005. The DC Council approved a $42 million TIF put forth by NCRC for the creation of the underground parking garage. This investment moved the project forward and convinced anchor Target to commit. NCRC will maintain control of and operate the garage. The estimated tax revenues are $13 million for the first year. DC USA is being developed jointly by Grid Properties Inc and Gotham Organization Inc in conjunction with Joseph Searles III and the Development Corporation of Columbia Heights (DCCH). The site was previously managed by RLA and RLARC took it over in 2002. The closing date was February of 2006. Completion is estimated for 2008. NCRC acquired the leasehold of the former Hogates restaurant for $5.55 million in September 2002. The total square footage is 42,000. NCRC sought a tenant to occupy the site and the lease was executed in March 2003. Hogates reopened as the restaurant H20 in December of 2003. The AWC is charged with implementing the City's vision for the Southwest Waterfront, as outlined in the Small Area Plan for the Southwest Waterfront and approved by the City Council in 2003. When complete, this 47-acre site will include a unique blend of retail, residential, office, maritime, hotel, park and cultural space that create a vibrant, amenity-rich 24-hour neighborhood for both District residents and visitors. However, significant challenges remain before the plans can be implemented since the transfer of land from the NCRC to AWC is still pending. In addition, the AWC needs to reach an agreement with the existing leaseholders. The District Council also needs to approve a land disposition resolution, following which the AWC will be able to sign a land disposition agreement with the developer26. The area includes the new Washington National's ballpark and 60 acres surrounding the stadium. Plans call for an exciting and vibrant neighborhood with a diverse mix of retail, entertainment, residential, and office uses. When complete, the South Capitol Waterfront is expected to generate $10 to $15 million per year in new tax revenues for the District, provide countless new jobs for District residents, and create business opportunities for local, small, disadvantaged business enterprises (LSDBEs). The revitalization of the South Capitol Waterfront will also include the construction of the Anacostia Riverwalk between the ballpark and the Washington Navy Yard, which will include a five-acre public park at the Southeast Federal Center and a new ferry pier at the foot of First Street, SE27. While construction on the site has begun, the AWC and city have been engaged in protracted legal battles over land acquisition. Nearly a year ago, a D.C. judge ordered a group of small-business owners to abandon 20-acres of land, part of the ballpark site. The business owners are pursuing the case in Superior Court over financial settlement for the land and cleanup. Poplar Point encompasses more than 110 acres of federal land adjacent to Historic Anacostia, directly across from the Navy Yard. Development efforts in this area will strive to reconnect historic Anacostia and its residents back to the Anacostia River. Plans call for the site to be revived as a green gateway to the Anacostia River and act as a catalyst for neighborhood economic development. The transformation will feature state-of-the- art ecological restoration as well as cultural, historical, and community attractions. AWC is currently working with the National Park Service and the U.S. Congress on transferring the ownership of Poplar Point from the federal government to AWC. The National Park Service has established a series of conditions that must be met as part of the transfer including a relocation strategy for the existing National Park Service facilities. Plans for the site must also include a 70-acre cultural park, civic memorials, wetlands, and residential, commercial, and office development. A developer, led by Skidmore, Owings, and Merrill Architects, has been selected through an open bid process28. The AWC is working with the Mayor’s office to develop a plan that must be approved by the Department of the Interior before the transfer of land can occur. AWC will be presenting the Poplar Point Site Development Plan and the National Park Service Relocation Strategy to the District Council in spring 2007. AWC also needs to complete the environmental assessment on the site29. While most CDCs generally supported the creation of NCRC, they have not seen development in under-served neighborhoods like they had hoped. NCRC and AWC should initiate partnerships with the CDCs for projects in their neighborhoods. One CDC commented “had it not been for our work in these neighborhoods over the years, there would be no interest in them even today”. Both the organizations should be “facilitators” of development, not developers. Through partnership arrangements, they should support CDCs in the services that CDCs cannot provide, such as construction financing. They do not support the idea of bringing the two organizations under the city. The organizations need to stay away from the bureaucracy of the City government. However, the Council should have greater oversight, provide strategic direction and ensure that the organizations are engaging the CDCs in their projects. One way to ensure more involvement of CDCs is to have representation on the Board of Directors. NCRC projects have helped to catalyze other developments. ANCs do not favor the decision to abolish the organizations. The biggest concern is an interruption or loss of momentum in the projects that are currently underway in their neighborhoods. A number of ANCs expressed strong feelings about the slow rate of progress in getting the projects started. One ANC mentioned “no amount of careful transition will be able to address that problem”. ANCs had a positive experience working with the organizations – - they were considered to be inclusive in their approach to the development projects and easy to work with. Public Development Corporations must be structured to be creative and implement the City’s vision or larger development goals, including projects that are for the public good. The City should financially support these entities and help them achieve their mission. For example, the City should establish a clear source of funding for NCRC and not require them to be self-sufficient. The mainstays of such public development corporations are control, accountability, flexibility, and efficiency. They serve as the link between the City and various outside agencies and developers as well as a coordinator across many city departments. The City needs to decide if it wants to have one single entity doing economic development with a city-wide and possibly regional perspective, or have multiple smaller entities with specific focus. Each setting has advantages and disadvantages. AWC’s planning focus is helpful to concentrate on a particular area. It is important to create a single point of contact, but not necessary for the City to serve in that role. The purpose is to make it clearer for other government bodies to identify who to deal with. Clear title to land that the organizations are mandated to develop has been one of the biggest impediments in their growth and progress. Many agencies would like to see the problem resolved. An outcome of the city’s proposal to dissolve the organizations, and the resulting review of the organizations, should be to clarify land-title and transfers in Washington, DC. Current and future economic development entities should be given clear title with specific development performance measures. It is advantageous to have such organizations because many developers are not keen to partner with government, but are willing to work with quasi-public entities. There is little understanding in the City government and public in general how long development deals take. Since both the organizations work in the public realm, they are under scrutiny from the start. Some private sector deals also take as long, but they are not monitored so closely. Both entities need to do a better job of marketing themselves and communicating their plans, achievements etc. The public does not know what they are doing. The city has too many entities performing economic development functions in the city. There are four (4) such instrumentalities of the city: Convention Center Authority, Sports & Entertainment Commission, NCRC and AWC. Each of these entities develops a constituency of its own and become smaller political subdivisions, creating problems of coordination at a later date. The City needs to decide who its “planners” are. The delays that NCRC and AWC face in their projects are not created by the organizations themselves. They are an issue of governance in the City. These entities do not have any special status (for example in getting permits, zoning etc.) as compared to any private developer. The City did not have the capacity to take on all the projects of NCRC and AWC in the previous administrations. Mayor Fenty’s team is considered to be too new to demonstrate the capacity and expertise to take it on. The City needs to carefully examine the lawsuits pending against AWC and RLARC before absorbing them into City government. The missions and implementation plans of both organizations need to be clarified. NCRC’s mission is very broad and required to be financially self-sufficient. This required private sector mentality in choosing projects. If the City would like them to serve a public purpose, then a steady revenue source should be established for them. 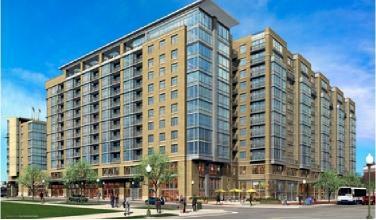 AWC is charged with development along the Anacostia River. Many expressed concern over their mandate for environmental cleanup of the river and whether it fits with their overall mission. It was suggested that the Department of Environment in city government can possibly take it on. Both organizations need an implementation plan in alignment with the City’s priorities for development in the District. Though it is not clear why the AWC was created as an independent agency and not a subsidiary to NCRC, they believe that it is a good idea to have an agency that focuses on the waterfront. Examples of dedicated agencies for waterfront development from around the world were talked about. The Southwest Waterfront issue between the NCRC and AWC is representative of the general business environment in the District. Many developers consider it easier and more beneficial to work outside the District for such reasons. There is strong support to not abolish the two organizations. Instead, it is necessary to improve the coordination between NCRC, AWC and the city. Some individuals also support the idea of having a single entity, though not within the city. When NCRC and AWC were created, the City did not have the capacity to deal with economic development issues. The Deputy Mayor’s office is now much better equipped to handle them. However, a City government can never be as nimble as these quasi-government entities. Government is not structured to deal with businesses. If you don’t seize the moment, you lose the opportunity. Some have encountered a lack of responsiveness and accountability from NCRC. They feel the organization has drifted too far away from government oversight and involvement. The organization acts like it independent from the city. Concern was expressed over the capacity of the City government to take on the schools as well NCRC and AWC at the same time. Further, the City is considering setting up an independent entity to develop schools in the District. There is concern over the rationale to merge or collapse NCRC and AWC and simultaneously create a similar entity. There is general understanding of the need of redevelopment agencies and why they are formed around the country, but City government has not had a good experience with NCRC and AWC. NCRC was envisioned to be the facilitator and catalyst of development and disposing of the land, not do the development themselves. The creation of AWC resulted in a lot of confusion because NCRC was setup to take on many of the same tasks using many of the same tools. The City is deeply involved with a lot of deals done by NCRC and AWC through the tax incentive tools used for financing these projects, which need to go through Council approval. Therefore, there is scope for bringing them under the City government. While the procurement and personnel systems of the City can be big reasons for not bringing the two organizations under the City, it may be possible to model them on the same model as the Office of the CFO, which is outside the City’s procurement policy. The City government should try to get clear title to its land from the federal government – start afresh with a clean slate. It is believed that doing so would solve a lot of problems related to the speed of progress made by the two organizations. Also, there may be opportunity with a new Congress. Whatever the City decided to do, it needs to make sure that progress continues to be made on the projects currently underway. Most projects have had a lot of community involvement. NCRC considers that they have a very nimble and efficient system. They are able to turn deals around effectively. NCRC believes they are a facilitator and catalyst for development. They are able to use innovative tools to acquire and develop land that may not be developed by private sector initiative alone. This stimulates surrounding development. They are able to respond quickly to market opportunities. Turn around time from RFP to bid to acquiring funding is very quick. They have been able to achieve a lot of social goals for the city such as LSDBE and affordable housing requirements without financial support from the City. Joint ventures ensure NCRC’s involvement in a project, and helps them to integrate social goals. They also gain a return which can be used to invest in other social impact projects. NCRC would like to have all the tools available to them to do real estate deals including equity financing (such as the Morgan Stanley deal) and joint ventures. There is a lack of agreement with critical agencies regarding NCRC’s powers and responsibilities. For example, there are different interpretations of their statute. The Office of the Attorney General doesn’t believe NCRC has the authority to use certain tools that are listed as tools in their mandate. Also the council which actually gave NCRC the authority to use eminent domain, now has misgivings about this tool. One of the organization’s biggest mistakes is not promoting achievements and results. The public and political leadership therefore do not understand their successes and may consider them under-performing. NCRC should develop a strategic plan for moving forward. Both the organizations need to develop these plans, but NCRC in particular since it never had a fully development plan. The biggest need of the organization is support from the executive branch and city council. With this support they will be able to assure that projects move rapidly. In addition, they will get the legitimacy to continue on their mandate at optimum levels. Being an instrumentality of the city, both organizations should get preferential treatment from other city agencies in getting permits, zoning, etc. This will make it attractive for the developers to work with them and also manage expectations in relation to the time a project takes. The City should phase out the two organizations over time as they both have current contractual agreements and financial liabilities such as public debt. The City should not bring the two organizations under city government control. Rather, they should make sure that the organizations are protected from the politics. AWC has a large social component in all its projects, which makes their job more difficult. Their affordable housing and LSDBE requirements are higher than most city agencies. AWC is doing projects in untested markets, where the private sector will not go without public involvement. Community involvement in development projects is one of the mainstays of AWC. The perception that AWC (and NCRC) are slow is misplaced. There is a lack of understanding how long real estate development deals take. The biggest challenge facing the AWC is legal titles and control over the sites that are outlined in their framework plan for development. This includes the Southwest Waterfront site control battle with NCRC, which was only recently resolved. AWC needs a more engaged and supportive Executive Branch and City Council in order to achieve their mission. They also need strong leadership from the City in providing more direction to their mission as well as a strong CEO who is able to manage the expectations of the City and developers at the same time. They have not done a good job of promoting themselves to the public in general as well as the City government. They have done a poor job of setting interim milestones and steps for themselves. This can be a benchmark for measuring their performance. AWC should consider developing core competencies in partnering with federal agencies since most of their land is still under federal control. It is not a good idea to bring the two organizations completely under the city government. This will slow things down rather than speeding the organizations up; procurement and personnel systems of the city were cited as the biggest reasons. Also, there will be loss of momentum in completing or pursuing projects of the two organizations. There needs to be an understanding that the first two years of creation will be difficult for any organization. Any major changes that come about from the City’s proposed legislation may cause similar growing pains. If the two organizations are abolished or merged, it should be done over time by aligning their missions with each other as well as to that of the city. If the City government intends to save money by abolishing the two organizations and streamlining operations, it needs to consider the amount of time lost in the transition, which could translate into millions of dollars in potential tax revenue from completed projects. The RAAC was a stand-along organization that reported directly to the Allegheny County Commissioners until 1995. At that point the Authority was restructured to remove the director and staff, thus becoming a ‘paper’ agency. Today, the RAAC is an independent authority overseen by a volunteer Board of Directors. It is managed by county staff under an agreement with the Allegheny County Department of Economic Development (ACED). RAAC is busiest authority in Alleghany County. The Authority often concentrates on large-scale redevelopment projects, particularly brownfields. The Authority is active in acquisition and remediation of brownfields, and works with developers to sell or develop sites. This is actually done through the County Business Development Department. They often identify brownfield sites, research federal or state grant opportunities to remediate the site and, if possible, build infrastructure for future or partner development. Economic Development Fund (EDF). RAAC is responsible for administering the County’s $50 million low-interest revolving loan fund that was established in 1995 to create and preserve jobs in the region. Since its inception, EDF has created or retained an estimated 6,360 jobs by investing $43.8 million in local companies. Redevelopment and Development Projects. RAAC coordinates comprehensive plans with local municipalities and conducts economic feasibility studies to leverage County resources for redevelopment projects to benefit the local tax base. In addition, the Development Division is engaged in property acquisition, site development and redevelopment, and infrastructure improvement. In these efforts, the Division partners with municipalities, developers, public agencies, nonprofit development organizations, brokers, agents, architects, engineers, contractors and lending institutions to ensure that the necessary resources are available to support each project. Tax Increment Financing (TIF). RAAC manages TIF plans to finance public infrastructure improvements that allow redevelopment activities to take place. A portion of the new assessed value of the property creates new tax revenues that are used to pay off debt issued to finance the improvements. All TIF districts are collaborative efforts involving municipalities and school districts as well as the County. Housing Redevelopment. RAAC aids ACED housing initiatives with financing, business development, master planning and reclamation activities. Programs assisted include the Allegheny Home Improvement Loan Program (AHILP), the Allegheny Vacant Property Recovery Program and large-scale housing redevelopments. The RAAC is looking to get more involved with neighborhood revitalization. In Allegheny County there are 130 incorporated municipalities, which means working with distinct neighborhoods requires a high-level of involvement and coordination. The Redevelopment Authority is managed under an agreement with the Allegheny County Department of Economic Development (ACED). The ACED has a total of six authorities, all of which are directed by the ACED Executive Director. RAAC staff is provided by Allegheny County via the ACED. Day-to-day operations are managed by the County Authorities Department employees including a manager, two project managers, and one administrative assistant. Other county employees are assigned to projects as needed. Business Development Department employees usually work on specific redevelopment projects. For example, the Development Group within the Business Development Department is primarily responsible for working with brownfield sites and other redevelopment projects. The five-member Redevelopment Board of Directors is appointed by the Chief Executive.34 Board members cannot be dismissed until their term ends. The members are appointed for a five-year staggered term. The Board of Directors is a staff-driven board. The Authorities Department staff prepare the agenda items and bring projects to the board for their approval. The board relies on staff to provide them with all necessary information. According to the Board of Director’s Chairman, the staff does an excellent job of presenting quality proposals forth. The board reviews them quite thoroughly to ensure projects are worthy of having government participation, as well as ensuring that they benefit a major portion of the county. The board is able to act efficiently, largely due to the fact that staff presents only thoroughly developed proposals that meet the board’s standards. The Board of Directors meet once a month in public meetings. The Board does not work directly with the County Chief Executive or County Commissioners. The staff ensures county government officials are informed. Transparency and constant communication means there are few problems or uncertainties raised by County leadership. As a courtesy, the Business Development of ACED group provides the chief executive a monthly listing of projects. The Chief Executive of Allegheny County determines the Mission towards which all Departments and Authorities achieve. The primary objectives include developing areas surrounding the airport and redeveloping brownfield sites. Allegheny County is currently developing a consolidated plan to further guide all redevelopment projects in the county. The Redevelopment Authority has many of the powers of the County government. This includes issuance of limited obligation bonds and eminent domain. RAAC issues limited obligations bonds. The County is never liable for bond payment or providing revenue, and the city is protected from legal prosecution. The bond financing is carefully structured to ensure that, in the case of a default, the security laid down in the form of real-estate is sufficient to cover the default. Bonds almost always carry insurance. Investors often require or feel more comfortable with insurance attached to a bond. The Authority does not have to approach any form of government for authorization to issue bonds. However, tax exempt bonds need the highest elected official’s approval for the issuance of bonds, or the County Executive. The State Urban Redevelopment Law of 1945 provides Authorities with powers of eminent domain. As such, RAAC is able to employ eminent domain to tackle largescale redevelopment projects. The RAAC signs an annual agreement with the Allegheny County Department of Economic Development (ACED) to determine services and fees. The Agreement determines that AEDC agrees to provide direct services to RAAC, including staff personnel, office space and utilities, and other administrative or secretarial services. The RAAC agrees to pay the ACED a set amount each year to defray administrative costs. In 2006 the amount was $200,000. Besides the set fees, the County has a fee structure in place for bonds issued by RAAC. Such fees go directly into the general fund to pay for overhead and indirect costs. The RAAC is a conduit for many state and federal grants. The AEDC charges a fee to administer those grants if appropriate. It is much easier for the Authority to be the applicant and recipient for a grant because of the somewhat onerous legislative process a County government must go through for approval. The RAAC board approves grants that come in and the County can thus administer the grant much more efficiently. The total annual operating budget of RAAC is about $1.4 million. The organization’s revenue is generated from annual administrative fees, annual Tax Increment Financing fees, the Economic Development Fund, interest income, Redevelopment Assistance Capital Program grant revenue, and other income. The former Firth Sterling Redevelopment Project is 17 acre brownfield in the City of McKeesport. The Redevelopment Authority of Allegheny County (RAAC) acquired this brownfield in 2004. To date the RAAC has completed the removal of all hazardous and non-hazardous materials. The current funds will assist in demolition of 10 structures and infrastructure development in preparation for resale of the property for development. In 2005 the U.S. Environmental Protection Agency awarded $600,000 to the Redevelopment Authority of Allegheny County to assess, cleanup and redevelop abandoned industrial sites into community assets throughout Allegheny County. The Redevelopment Authority of Allegheny County sponsors the AHILP program to maintain affordable housing units countywide. The revolving loan is eligible homeowners to fund home improvements and repairs to owner-occupied properties. AHILP utilizes Community Development Block Grant (CDBG) funds, Department of Community and Economic Development (DCED) funds and possibly revenue bond funds to offer low and no-interest loans to homeowners whose household income is within program guidelines. In conjunction to a loan, grant funds are also available toward a portion of the cost of certain types of eligible improvements including accessibility items and lead hazard control items. Approximately 50 loans are expected to be committed in 2007 under this program. The Redevelopment Authority of Allegheny County is working on numerous preliminary development initiatives around the County. The Development Division is working with developers, property owners, municipal officials and others to cultivate development/redevelopment opportunities in several municipalities including Tarentum, Clairton, Braddock, Coraopolis, and Neville Township. The pre-development fund is used for activities such as appraisals, feasibility analysis, architectural and engineering work, title searches and other pre-development needs. Darnell, Moses. Authorities Department Manager, Allegheny County Economic Development. Interview March 12, 2007. Quarantillo, Paul. Board of Directors Chairperson, Redevelopment Authority of Allegheny County. Interview March 12, 2007. City of Phoenix Downtown Development Office (DDO), Community and Economic Development Department (CED), and the Neighborhood Services Department. The Portland Development Commission is an autonomous subsidiary of the City of Portland with an all private-sector, Mayor nominated Board of Directors, known as Commissioners in the case of PDC. The Executive Director reports to the Commission instead of the City government. The City is included in the decision making process as it provides the funding for many of its programs. The City of Phoenix on the other hand manages various development and redevelopment efforts in-house through its three departments. The Downtown Development Office has the biggest portfolio with major development efforts underway in the downtown. The Neighborhood Services Department works in neighborhoods on smaller real estate projects such as attracting neighborhood retail, in-fill housing etc. The Community & Economic Development Department provides financial services in terms of real estate loans to businesses and residents, but not involved with construction activities. Details about both the entities are below. Portland voters created the Portland Development Commission (PDC) in 1958 as a city agency to administer projects and programs that achieve the city’s housing, employment, economic development, and redevelopment objectives. The PDC’s mission is to bring together community resources to achieve Portland’s vision of a strong economy with healthy neighborhoods and quality jobs. The PDC serves the City of Portland (estimated population 533,427 in 2005) and provides some contracted services to the surrounding tri-county region. The Commission’s programs and services focus on neighborhood revitalization, housing development and job creation38. Revitalization: To keep neighborhoods bustling, PDC works with residents, renters, homeowners, business owners and nonprofit organizations to expand affordable housing and quality jobs in the city by providing an array of services such as planning and market analysis. They also assemble underused property and help bring together the public/private partners and finances needed to accomplish housing, retail, office and other projects. Housing: PDC’s housing programs target a variety of Portland’s housing goals and objectives involving different densities, mixed-use, transit-orientation, and affordability. To help stabilize neighborhoods and keep people in their homes, PDC offers several loan programs for home purchase, refinancing or repair. They also help finance and develop multi-family housing for a variety of income levels. Job Creation: PDC offers both direct and indirect assistance to businesses looking to expand or locate in the Portland area including business loans or help locating the right site. They also provide geographically-specific small business loan programs and incentives. The Housing, Development and Economic Development departments are the Operating departments, where as the other three are the Administrative departments. The total budget for PDC’s operating departments is $209.8 million, or 91% of the Total Expenditure Budget. The total budget for PDC’s administrative departments is $17.8 million. The Development Department has the largest budget at $98.9 million for FY 2006-07, a major portion of which comes from Tax Increment Financing. The Housing and Economic Development Departments have budgets of $76.3 million and $34.5 million respectively. PDC had 176 full time employees. Housing is the biggest operating department with 37 employees, while Executive is the biggest administrative department with 37 employees. The major sources of funding for PDC are: tax increment finance (TIF), federal and other grants, and income from various programs and service disbursements. Tax Increment Financing (TIF) is the primary funding mechanism for PDC projects. The City of Portland also contributes to PDC through a General Fund allocation, which funds economic development activities outside the urban renewal areas. While the PDC does not have the power to tax, raise bonds, or use eminent domain, as a city agency it has institutional ties to those departments of the city government which do have those powers. In the case of raising bonds, PDC can initiate the process to issue Industrial Development Revenue Bonds (IDRBs). The Commission is governed by a five-member, volunteer citizen board of Commissioners, appointed by the Mayor and approved by City Council. The Commission develops the PDC’s mission and policies, and approves proposed PDC projects. While the PDC is an agency of the City of Portland, the Executive Director reports to the Commission and not the Mayor and/or City Council. This structure was created to allow the agency to implement programs and focus resources independently and not at the direction of any one city Commissioner. Commission business is conducted at monthly public meetings and all PDC activities are guided by a five-year plan. Decisions are made in the organization through the Commissioners, the Executive Director, and the Department Directors. The city government participates in decision making to the extent that it sets budget allocations for some agency resources. In addition it acts in an advisory capacity for programs and projects. The main advantage of the PDC lies in the combination of different programmatic functions within one organization, ranging from urban renewal and housing to economic development. The initiatives are coordinated using staff and services from all of the departments. A disadvantage of coordinating diverse types of programs is that there are sometimes conflicts between downtown residential housing and business development. Given the structure of the organization, though, these conflicts can be resolved internally in a way in which all the major stakeholders can be taken into account. Development of Museum Place, Eastbank Esplanade, Portland's Rose Quarter, Light Rail to the Airport and North Interstate Avenue, The Classical Chinese Garden, Pioneer Place, Pioneer Courthouse Square, Walnut Park Retail Center, RiverPlace, Chinatown Gateway, renovation of historic Union Station, and the redevelopment of the North Park Blocks. Renovation of historic and underutilized buildings downtown into affordable housing. Examples include the Sally McCracken Building, the Golden West, Mark Hatfield Building and Swindells Building. Thousands of loans to Portland homeowners to make needed repairs to their homes. These loans not only ensure that these houses remain up to code, but are also safe to live in. Over 7,000 loans to owners of rental housing to fix substandard rental units and maintain affordable rents. Notable projects include 333 Oak, Rose City Village and the Maya Angelou. Loans for construction of new affordable rental housing include the St. Francis, Kafoury Commons, Betty Campbell, Rosemount Commons and Lovejoy Station. A variety of significant Economic Development projects including the recruitment of Qwest Communications International customer service center, Watermark Sports, the re-opening of Physicians Hospital and the expansion of Harris Soup Company (Harry's Fresh Foods). The City of Phoenix, AZ implements its economic development functions through three major departments within the government: the Downtown Development Office (DDO), the Community and Economic Development Department (CED), and the Neighborhood Services Department (NSD). The Downtown Development Office is responsible for major real estate development projects in downtown Phoenix. The Community and Economic Development Department works to foster business and economic growth in Phoenix and provides various valueadded services to achieve this goal. In relation to real estate development projects, CED provides loans to business and residents for real estate development. The Neighborhood Services Department works on small real estate development projects in the neighborhoods, outside the downtown. The DDO was created in 2004 as a separate department out of the Community and Economic Development Department’s Central City Division. It provides focus to the large scale redevelopment efforts undertaken by the City of Phoenix in the revitalization of its downtown. The department creates or facilitates development activities that create or retain jobs, enhances city revenues and enhances the quality of life in the downtown redevelopment area43. Activities of the department are guided by a strategic plan called “Downtown Phoenix: A Strategic Vision and Blueprint for the future” for downtown development over the next ten years. Major projects currently underway in the downtown area include the Biomedical Campus at Copper Square, Valley Metro Rail transit system, the new 1,000 room Sheraton hotel, the development of the new 15,000 student Arizona State University Downtown Phoenix campus, the establishment of the University of Arizona medical school, and the development of approximately 2,000 student housing units. This department was created to preserve and improve the physical, social and economic health of Phoenix neighborhoods, support neighborhood self-reliance, and enhance the quality of life for residents through community-based problem solving, neighborhoodoriented services and public/private cooperation. The department investigates complaints of un-maintained properties and zoning violations; provides home maintenance training; assists residents with home repairs; removes graffiti and provides paint and tools for neighborhood clean ups; provides landlord/tenant counseling; designates and protects historic neighborhoods; promotes the establishment of neighborhood associations; and administers the Community Development Block Grant Program44. CED stimulates economic activity by offering a diverse range of value-added business programs to build, revitalize, and sustain a quality community for Phoenix businesses and residents. It is responsible for providing assistance to new or expanding businesses; negotiating development agreements for office, retail and industrial projects; marketing the city to regional, national and international businesses; and providing facilities and services that encourage convention activity, cultural events, entertainment attractions, community development and sporting events in Phoenix45. Below is a table that outlines the operating budget amounts for each department, their funding sources and staff. Being city departments, the most important source of funding for all the departments is the General Fund. In addition, grants from several federal and state funds support various programs. As part of the city government, DDO has the ability to initiate eminent domain, though there are multiple levels of approval it needs to go through before obtaining a majority Council vote. The City of Phoenix does not utilize Tax Increment Financing for its projects, though bonds are used in financing different types of projects. However, the City decides the limit for each department to take on debt and therefore bonds are considered to be an effective financing tool available for redevelopment projects. Departments coordinate with each other as well as other city departments on various projects to offer comprehensive services to residents and businesses. For example, the CED helps with business attraction to small neighborhood communities and works in coordination with the NSD in locating them in “target” areas identified by them. The DDO works in partnership with a number of other city departments such as Street Transportation, Public Works, Parks and Recreation etc. on projects in downtown. The departments also partner on projects to leverage private sector funds. For example, the DDO and CED have worked in partnership to attract the Arizona State University to locate its new campus in downtown Phoenix. New market tax credits and historic tax credits will be used in the redevelopment of a number of historic buildings located on the site of the new campus. While the CED manages the financial aspects of the deal, the DDO will be working with developers on the redevelopment aspects of the project. The main advantage of a city agency / department is that it helps maintain focus on public interests through accountability and oversight by the City Council and Mayor. In addition, economic development projects can be integrated into the broader development goals of the City. The major challenges faced by these city departments are the cumbersome procurement and personnel systems. The departments are not able to move quickly to ensure timely completion of projects. Harris, John. Acting Deputy Director, Downtown Development Office, City of Phoenix. Interviewed March 15th 2007. In 1978, the Jobs and Business Development Task Force of the Economic Growth Council of Detroit recommended the creation of an organization devoted solely to the economic development of the city. As a result, the Detroit Economic Growth Corporation (DEGC) was established. Its mandate is to help businesses provide jobs, leverage private investment, and serve as the lead implementing agency for business retention, attraction and economic development initiatives. The DEGC is a private-public partnership, bringing together public sector policies and priorities with private sector development and investment interests to strengthen Detroit’s economic development. The Detroit Economic Growth Corporation (DEGC) was established by state and local legislation as nonprofit corporation with the 501(c)(4) legal designation in order to own land and property, and to be able to earn short-term profits for investment. The DEGC has a subsidiary, the Detroit Economic Growth Association (DEGA), which is a “paper corporation” established as a 501(c)(3), private nonprofit to be able to receive charitable contributions. The DEGC also provides staff services to the city’s Downtown Development Authority (DDA), Detroit Brownfield Redevelopment Authority (DBRA), Economic Development Corporation (EDC), Neighborhood Development Corporation (NDC), Local Development Finance Authority (LDFA), and Tax Increment Finance Authority (TIFA). This federation of organizations brings together the public powers of the city and quasi-public development tools of the EDC, DBRA and the DDA with the expertise and resources of the private sector to further business growth and development in the city. These public and private economic development resources and tools are coordinated within the framework of the DEGC, and they are extended to the community through the technical, financial and development assistance available at DEGC47. The DEGC serves the City of Detroit with its population of 950,000 residents. It has taken a real-estate transaction-oriented approach to economic development since its inception, focusing largely on project-oriented activities including a variety of large and small enterprises in both the downtown district and in the city’s neighborhoods. Resources have been directed towards providing technical, financial and development assistance to business retention, expansion, and attraction. Approximately 75 percent of its administrative and program expenditures are oriented towards real estate development activities. Land use types include office, residential, retail, industrial, lodging, and audience support. The DEGC has an annual budget of approximately $3.1 million. The staff and financial resources of the DEGC go to four components, that of financial services, business development, project management and administration. The Financial Services Group is responsible for financial administration and loan structuring for projects. The Business Development Group is responsible for business attraction and retention. The Project Management Group plans and develops individual real-estate initiatives. Eighty percent of the annual operating budget for the DEGC comes from the City of Detroit General Fund. Staff services are provided to the City of Detroit through the DDA and EDC subsidiaries. Approximately, 20 percent of annual funding comes from private sources. The DEGC’s loan portfolio of approximately $50 million represents direct investment in more than 65 projects, many of which are small businesses for whom the DEGC was the primary source of support. Since its inception, DEGC and its affiliates have invested more than $1 billion in public funds to leverage more than $4 billion in private capital. The DEGC is administered by a single board of directors and president. There are 60 board members, and an executive committee of 20, which exercises the full authority of the board of directors when it makes decisions. Board composition is characterized by seven developers, five representatives from the financial sector, six members from the retail sector, five from the manufacturing sector, eight from government, three from utilities, three from accounting firms, two from labor organizations, three from the health industry, five attorneys, two from academia, six from the service industry, and eight others. Members of the board of directors are nominated by the Mayor and approved by the Council. The mayor and three members of his cabinet are ex-officio board members. Board members are reported to be active participants in the program. Decisions regarding policy, finance and major project initiatives are made by the president and the board of directors. Administrative, budgeting, and programmatic decisions are made by the president, vice-presidents, Chief Financial Officer, the director of business development, and the project management director during regular administrative meetings. Daily operational decisions are made within the three core components by the directors and their staffs, or by cross-component project staff. Functions and tasks are allocated through three departments 1) Business Development (business retention, attraction, and marketing); 2) Financial Services (from loan/contract negotiation to financial administration); and 3) Project Management (from predevelopment through construction). DEGC efforts represent the City of Detroit’s determination to support business and ensure the necessary financing tools are available. As such, the City of Detroit is the primary client of the DEGC. The DEGC works with individual businesses, entrepreneurs, developers, and the City government when undertaking individual projects. The management staff participates in a number of public and private forums that bring together the various actors in city economic development. This collaboration helps to share ideas and information among network members, maximize resources, and avoid overlap of programs. The strengths of the organization lie in the structure of the DEGC, which supports the integration of public and private sector policies and strategies. The weakness of the organization lies in its dependence on the city bureaucratic process for the release of funds. This frequently causes delays in the availability of funds to pay contracts, and this slows project implementation. Papapanos, Art. Vice President, Board Administration, Detroit Economic Growth Corporation. Interviewed March 13th 2007. 1 International Economic Development Training Manual: Real-Estate Redevelopment & Reuse. IEDC, 2006. 2 From the Washington, DC Economic Partnership, 2006 Neighborhood Retail Opportunities. 9 Office of the Deputy Mayor for Planning and Economic Development. May 3, 2000. 12 The National Capital Revitalization Corporation, “NCRC Project Profile: Projects and Initiatives for 2002-2007”. February, 2007. 13 The National Capital Revitalization Corporation, “NCRC Project Profile: Projects and Initiatives for 2002-2007”. February, 2007. 30 Comments made at the Public Hearing on B17-022 "NCRC and AWC Reorganization Act of 2007" on March 13th, 2007. 32 “Allegheny County Economic Development and its Authorities”, presented by ACED, 2006. 36 BOS projects work to create shovel-ready sites for businesses through land acquisition, construction and feasibility studies.